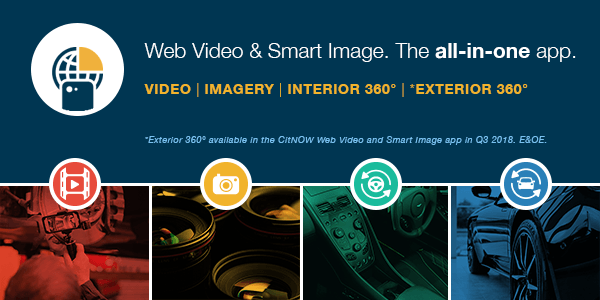 The CitNOW Academy has been an important cog in the company’s evolution as well as establishing video as a critical tool of the trade in the automotive industry. By providing a range of learning interventions and experiences internationally, we have helped our clients in implementing and sustaining video as a critical tool. We’re now taking learning and development to the next level. CitNOW is implementing plans to provide higher engagement, build long lasting usage and deliver consistently across the world. My journey at CitNOW has been fast, ferocious and extremely fun. Having joined from Jaguar Land Rover in 2016, I was fresh from having delivered and supported Learning Management Systems for a number of years as well as developing high-engagement eLearning programmes. I joined the company for two reasons – we are a technology innovator, but also because I too received a video back in 2015 whilst purchasing a vehicle. The experience video delivers to customers helps build long lasting relationships and deliver a positive impact to their bottom line. Since joining CitNOW I’ve worked on building the CitNOW Academy internationally, increasing training resources to make CitNOW markets self-sufficient. With my past experiences at Jaguar Land Rover it wasn’t going to be long before Learning Technologies were on the radar! CitNOW already delivers eLearning, accessible through the Dashboard, however we’re ready to push the envelope again. The Academy can help to deliver something that really makes a difference and encapsulates a set of key values for the future – Simpler, Faster, Scaleable and Long Lasting. In 2019 CitNOW will roll out its all new learning platform – CitNOWAcademy.com – designed to provide face to face, electronic and mobile learning as well as development to help clients deliver high quality video. The portal will provide access to learning modules as well as the ability to report and keep track of development with Video. Back in October, we announced our new partnership with learning management software providers Eloomi to take the CitNOW Academy to the next level. Like our technology, learning solutions must be simple and fast – customers don’t have much time these days. Eloomi is helping us evolve our online learning offering making it sleeker, more accessible, and more interactive. CitNOW is looking to utilise learning technologies to increase client satisfaction and provide them with rich learning experiences. Our products are constantly evolving and there is a need to communicate these enhancements through learning interventions. We have already seen the trend within Automotive video transforming from – “I am a user of Video”, to, “I create high quality videos for my Customers”. CitNOWAcademy.com will help us to deliver consistent, high-quality and brand compliant eLearning across territories and share key learning insights with clients. With our new learning platform we can scale our technology and academy support together. The CitNOW Academy has been focused on the 10% for many years, however through learning technology we can magnify dealer staff knowledge by providing access to learning they can undertake and share with each other, in their own time. We know creating great videos is about building a habit and deliberate practice. We are really excited about the future and working with you to deliver longer lasting customer success.